hmmm feeding himself, I see! much easier to pick up rice with fingers…lovely chong chong. 🙂 If you look closely at his clothes, you’ll see that he’s eating sticky rice. ahha…i blew it up. 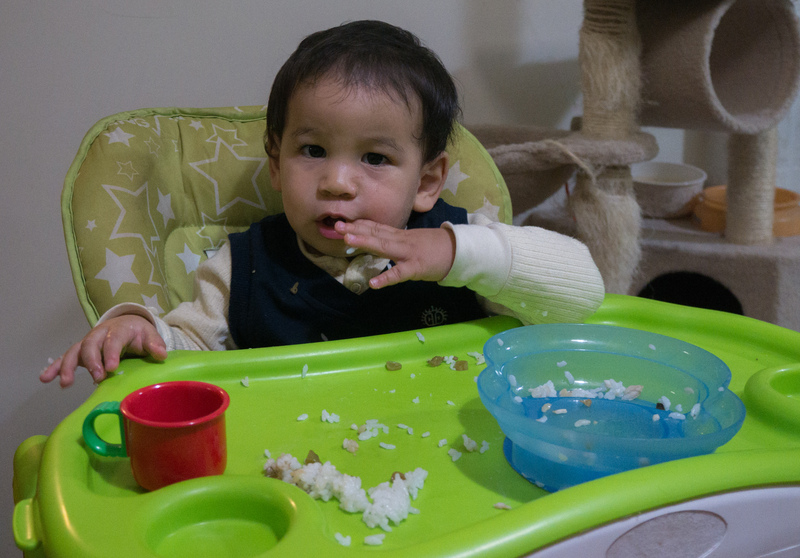 yes, sticky rice on sleeves and elsewhere. so dear.